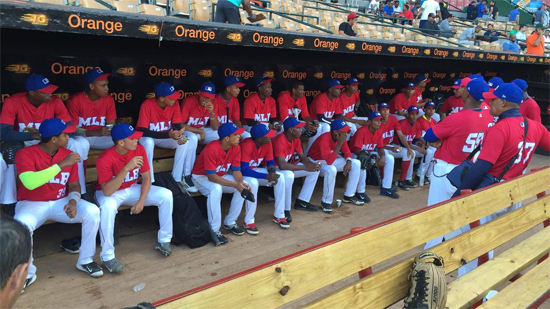 The international signing period opens Saturday and the Phillies are poised to make a splash. The Phillies are expected to make a splash on Saturday and ink more than a dozen prospects when the international signing period for 16-year-old players begins. The Phillies' current big league roster includes seven players that progressed through the organization's Latin American program. According to multiple sources, the Phillies are linked to at least five players from Venezuela with three appearing on Baseball America's list of the top 50 prospects in Latin America. Francisco Morales, P, Venezuela: Decent fastball to compliment an already plus slider. A tall righty that needs to grow into his frame. Ranked 12th by Baseball America. Bryan Gonzalez, SS, 2B, Venezuela: Smooth swing coupled with occasional power and a strong infield arm. Ranked 19th by Baseball America. Nicolas Torres, SS, Venezuela: A speedster that makes consistent contact. Ranked 45th by Baseball America. Once players are signed they will spend time playing in the Dominican Summer League before potentially being assigned to a minor league affiliate here in the U.S.
Maikel Franco, Freddy Galvis, Cesar Hernandez, Hector Neris, Carlos Ruiz, Severino Gonzalez and Edubray Ramos, all currently on the active roster, are homegrown products of the organization’s scouting development program in Latin America.